Time is dwindling to register for the event Emotional Intelligence: A pathway to self--understanding and improved leadership. 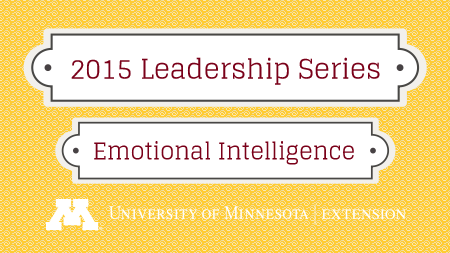 If you want to learn what your emotional intelligence score is and how you can develop it, register now while seats are still available. 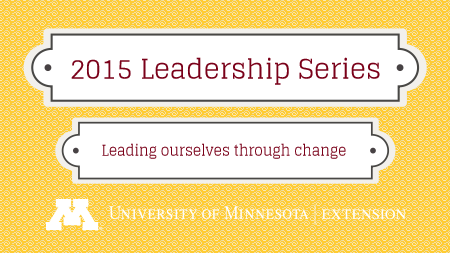 Registration closes Monday, July 27, 2015. On the flip side, registration is just opening today for the three-part webinar series on Leading ourselves through change. With a webinar covering different angles of how leadership relates to and influences change happening in September, October, and November, you can register for one, two, or all three. Register here. 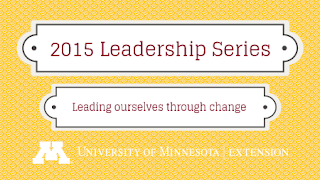 For full details, dates, locations, and cost for both events, visit the 2015 Leadership Series page.